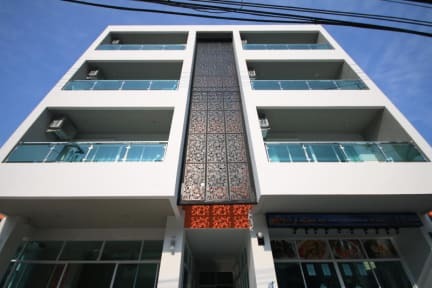 Karon Sea Side Hotel is located on Patak road. This is the main road of Karon Beach and near attractions place such as Big Buddha, Chalong Temple, Phuket Zoo, shopping center and entertainment. Karonseaside offers 40 rooms : Standard Room Double bed and Twin bed and Deluxe Room with private balcony. You can put extra bed in the room. The first floor has the restaurant ' The Beach Bistro By May' There are various kinds of food and International cuisine. Staff pleasure and willing to service. Lovely hotel in a great location. Just a 5-10 minute walk to the beach. 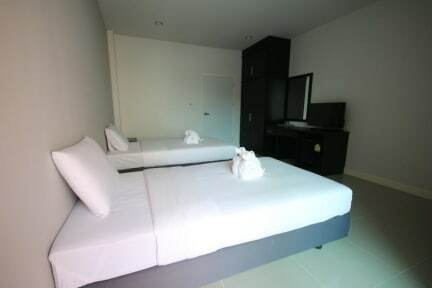 Clean and spacious rooms with really helpful friendly staff. Also great restaurant (Elephant Cafe) just two doors down! Very helpful with booking us onto a boat trip and pointing us in the right direction for some good food. Just on the edge of Karon beach, still within walking distance. Standard rooms, no frills but clean.